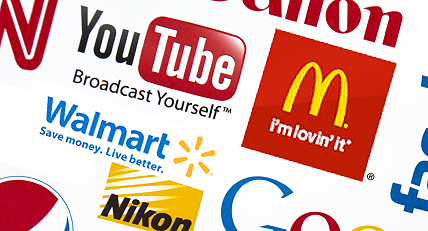 Brand slogans: memorable or not? I am going to give you a quiz. I am going to list some corporate slogans and I want you to take your best guess at the brand they are promoting. Slogans have been used in marketing for years. When they are working well, they are a device that will help your customers remember your brand. Without saying the name of your brand, hearing or reading the slogan should jog the customer’s memory so they remember it. Slogans are often called taglines or straplines. Let’s see how you did in the quiz above. Here are the answers. I want you to notice something about the slogans we showed you. They are simple in the message they proclaim. They are not wordy, nor do they use many syllables. They convey a single thought. Typically slogans are used to clarify the product/service or they help target a market segment – or both. Let’s delve into this. There is a rule that many marketers use when coming up with a slogan. It is referred to as the law of 7 and 3. A slogan must be seven syllables or less. No words can be more than three syllables – one and two syllable words are the best. Beyond that, it becomes hard to remember. Studies have shown that when you follow the rule of 7 and 3, people can read and remember a phrase at a glance, which is about how long a consumer will give to a slogan. Go back through the list you just made and take a look at any you missed. There are four slogans that are longer than seven syllables; #3 Google Chrome and #5 Wikipedia have eight syllables. #2 Coke Zero has nine syllables and Verizon Wireless has a whopping 13 syllables. Verizon also uses the four syllable "America’s” in their slogan. Did you miss any of these? It could be because they violated the rule of 7 and 3. Obviously the rule of 7 and 3 gets stepped over all the time by very successful brands. Even though Verizon Wireless used a four syllable word, they used a very memorable word to step over the line. There are other reasons why you would want to make a longer slogan – namely to reach a specific market segment, which we will discuss shortly. However, you should note that Coke recently began to shift to a new slogan for Coke Zero: Zero Calorie Cola. The most memorable slogans convey one thought. You may have six different benefits attached to your product. You need to whittle that down to one thought for a slogan. That thought needs to be heading in one of two directions. Either it helps clarify your product/service or it resonates with a market segment that you are targeting for sales. When you use a clarifying slogan, it often centers around the advantage the product has over its competition or a benefit of using it that rings true with customers. If you look at the odd numbered brands listed above, they use this clarifying statement that touts the benefits and advantages of the product or service. 3. Google Chrome touts the speed of connecting to the internet with its web browser. 9. Campbell’s soups are simply good to eat. In a very simple statement, they help the consumer understand the product and give them a reason to purchase it. Another way to use a slogan is to say something that will resonate with a specific market segment. Some slogans are turned into jingles that are sung by pop artists who are the icons of a generation. Think of the slogans that have been used on you and what celebrity has been used to sell to you. The even numbered slogans above are geared to a market segment. 2. Coke Zero – this is marketed to people who do not like the taste of diet sodas, but don’t want all the calories of a regular soda. 6. V8 is segmenting people who are concerned about healthy eating. 10. Gatorade has a slightly different market segment than both V8 and Wheaties. They are angling for the young athlete and those who are into aerobic exercise and still hold sports heroes in high esteem. 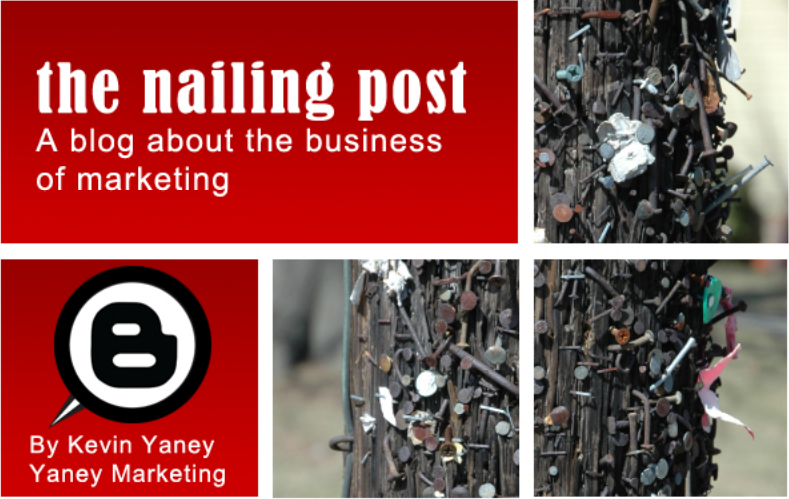 You could make a case that two of these examples do both clarify and target a market segment. The Verizon slogan touts both the largest network (advantage of the service) and a specific market segment (4G LTE users.) The Ivory soap also claims to be Pure, Clean and Simple. That seems like a clarifying term used to tout the advantages of Ivory soap. But it also is segmenting a specific target – those who subscribe to holistic living and do not like many of the added ingredients in other soaps, namely glycerin. In a very clever way, Ivory is promoting itself to this market segment with its tagline. Using a slogan is a great way to promote your brand if you keep a few rules in mind. There is nothing worse than a slogan that no one remembers or associates with your brand. Take another test. The next time you walk down an aisle of your local store, read the slogans from the products to whomever is with you. See how many brands they can name from hearing the slogan without looking at the product. Take note of the memorable taglines. Do they follow the rule of 7 and 3? Do they convey one thought? Do they clarify the product, target a segment, or both?